This topic will be related to the development of add-ons from the OZMT team. We specialize in all types of public transport. 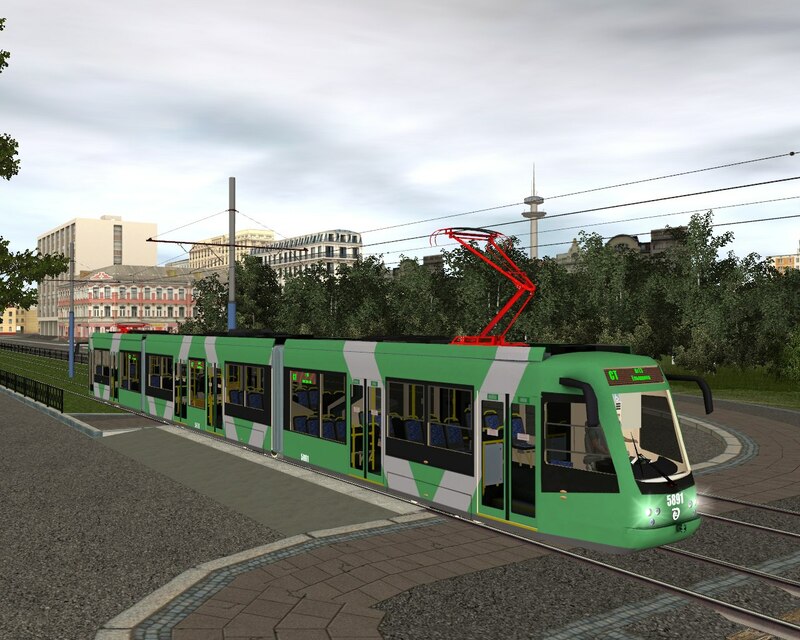 OZMT-8 - single-section four-axle tram high-floor car. 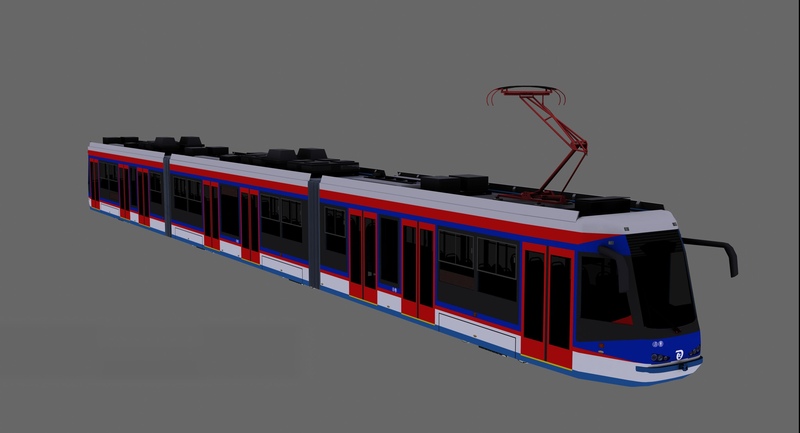 OZMT-10 - single-section four-axle tram with a lowered floor in the middle part of the car. OZMT-10P - single-section trailer bezkabinny unilateral. 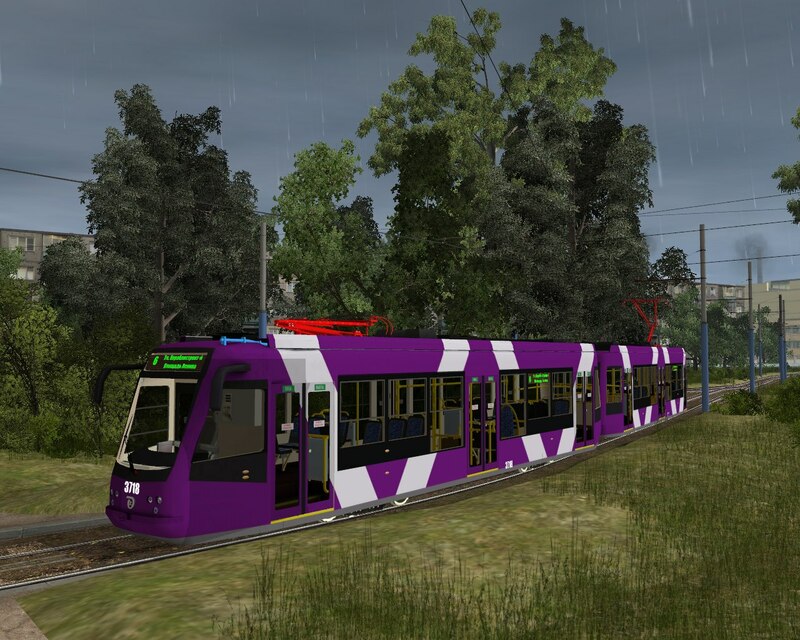 OZMT-11M - single-section 4-door single-sided single-cab tram with a reduced floor in the middle part of the car. 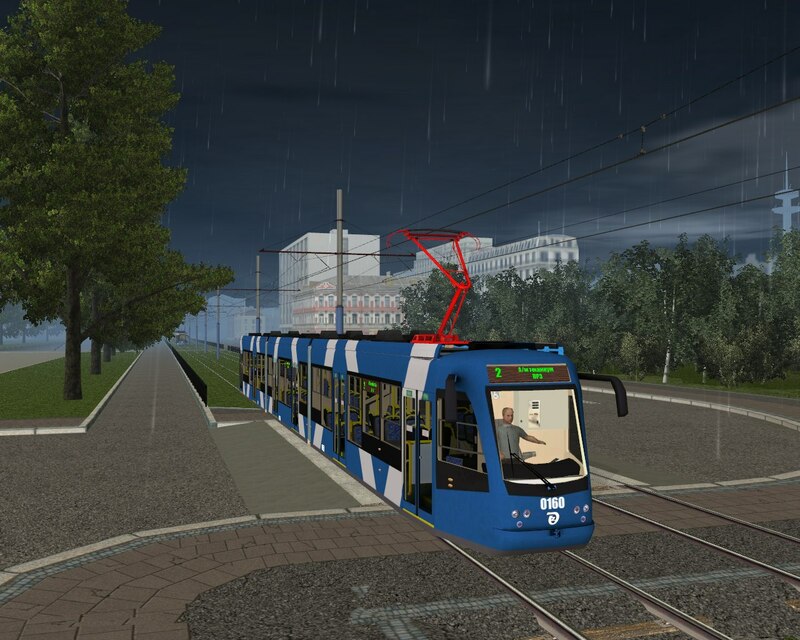 OZMT-12 - is a three-section single-sided single-cab tram with a lowered floor in the middle sections. The model has various partitioning options. 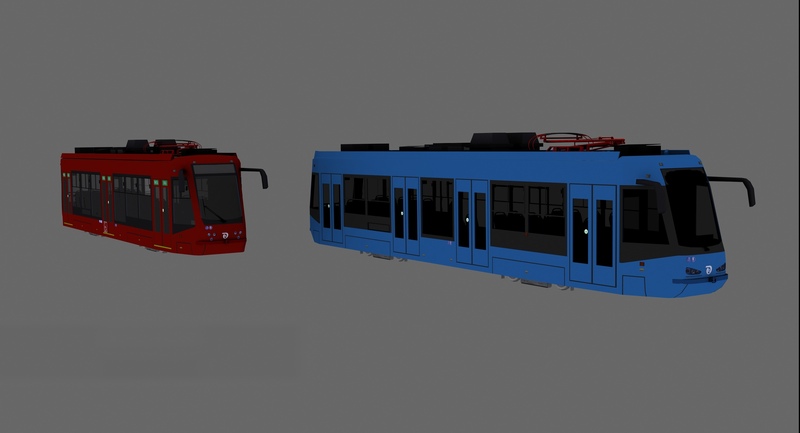 OZMT-13 - a three-section double-sided double-cab tram with a lowered floor in the middle parts of the sections. The model has various partitioning options. 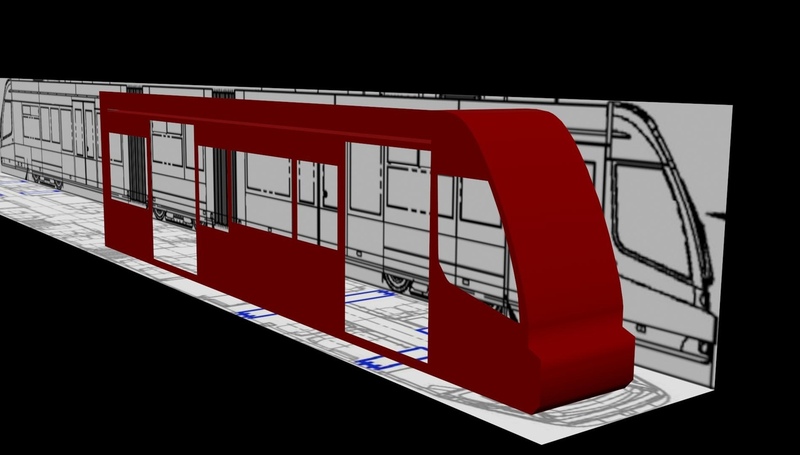 OZMT-15 - single-section single-cab double-sided carriage, the basis of OZMT-10. Designed for clutch backs (like push-pull), can also function as a loner. 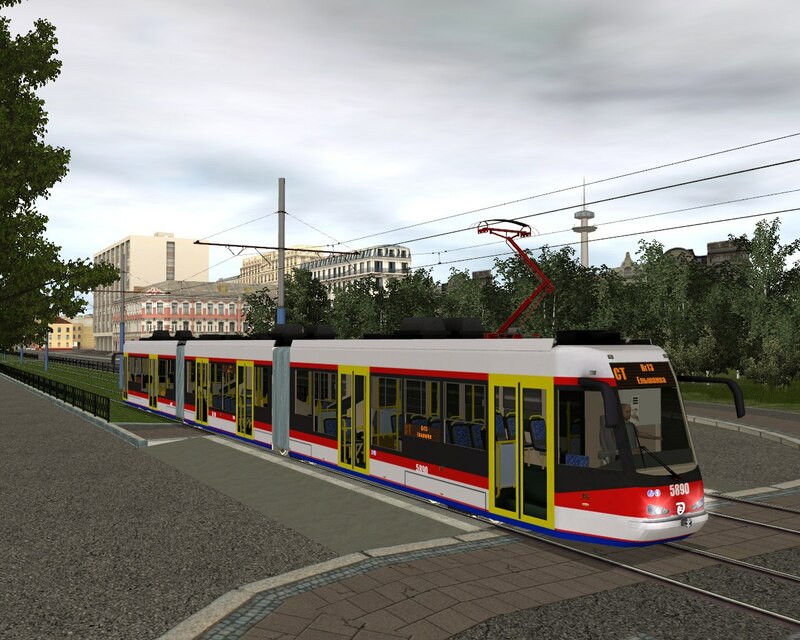 OZMT-15P - single-section hook-on bezkabinny two-way car, the basis of OZMT-10. 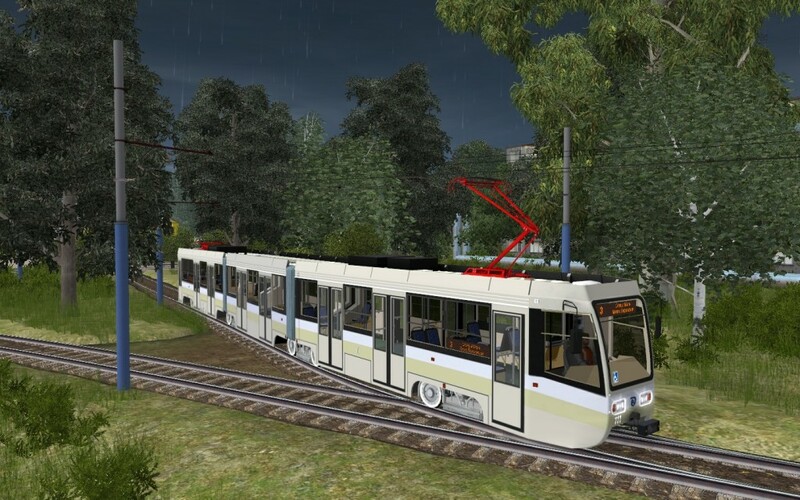 OZMT-16 - is a two-section single-sided single-cab tram with a lowered floor, according to the type of LVS-2005(ЛВС-2005). 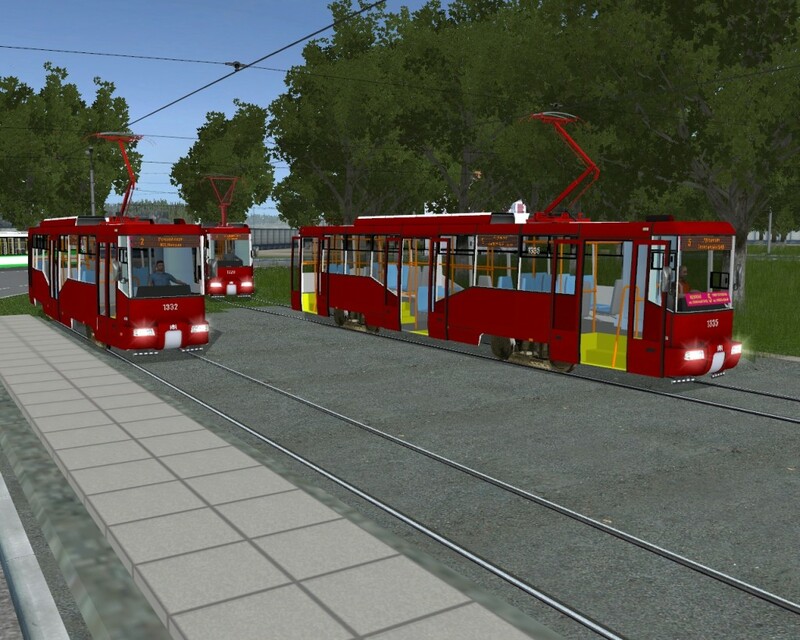 OZMT-17 - a three-section double-sided double-cab tram with a lowered floor in the middle parts of the sections (in the middle section two trolleys). 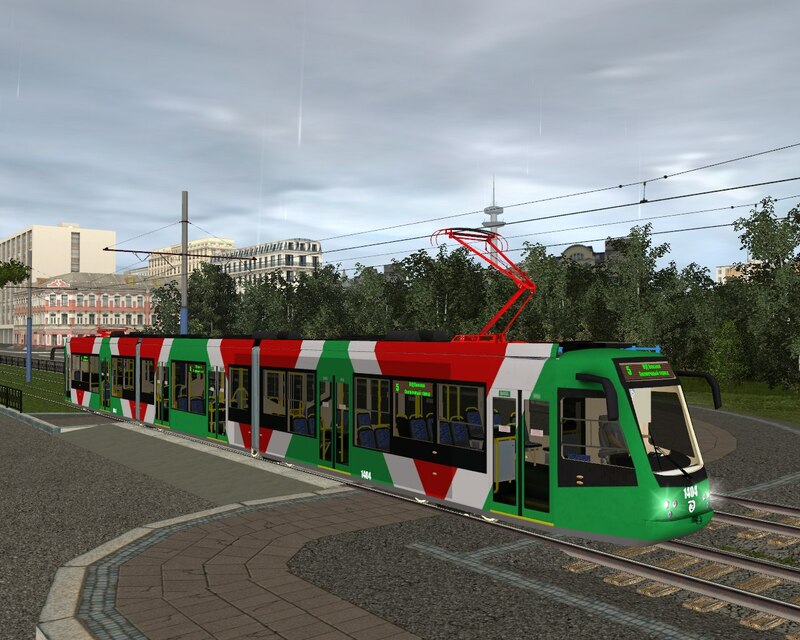 OZMT-18M - a three-section single-sided single-cab tram with a lowered floor in the middle parts of the sections (in the middle section two trolleys). OZMT-19M - a three-section one-way car with a variable floor level (middle section hanging). Now it's finally time to introduce the models of the entire line of OZMT-10. 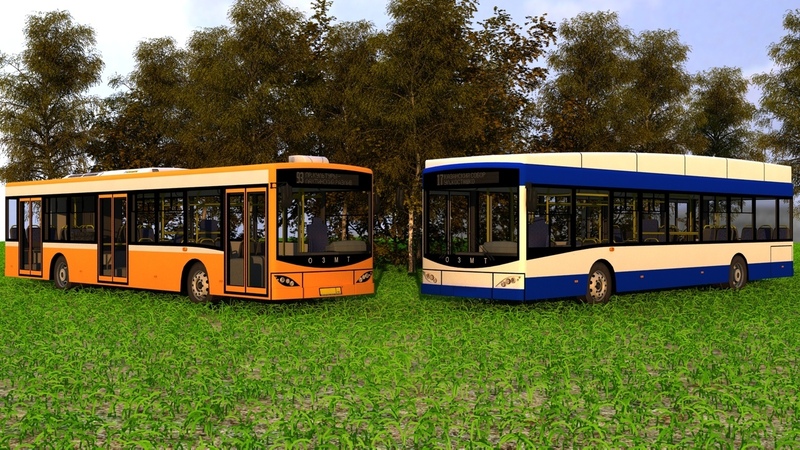 These models are in development and will soon be available. Edited 17 times, last by karadamir ( Mar 2nd 2019 ). Another video from the OZMT-11M development for LOTUS. 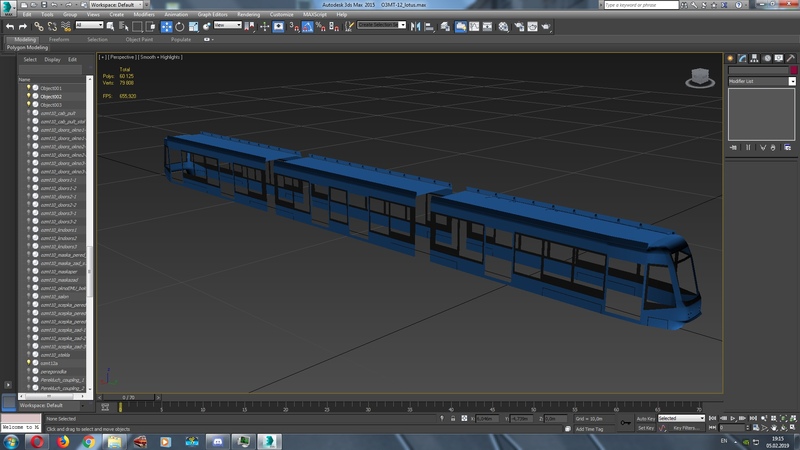 This time, animation is completely customized for the trolleys. There are minimal underreporting. I would like to tell about our team when we were born and what we did and do. How the OZMT team was established on September 15, 2011. 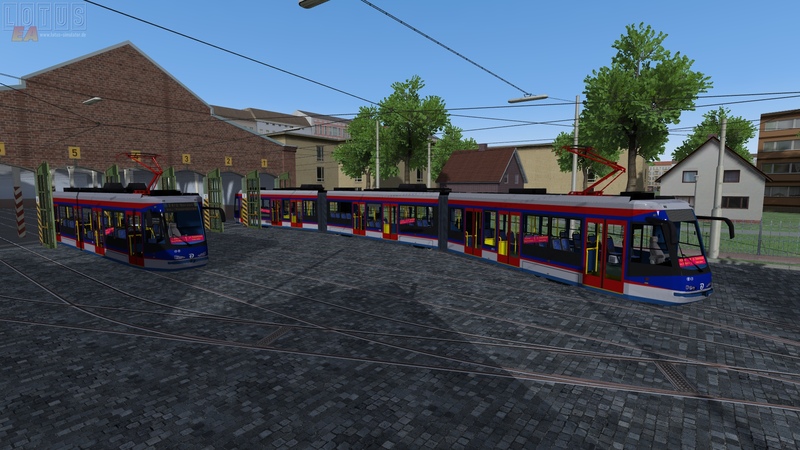 OZMT stands for "United Tram Modernization Plant". 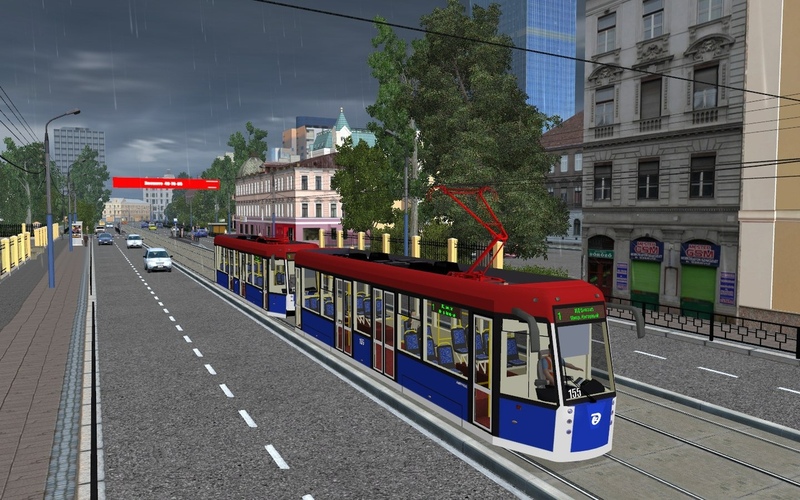 In 2017, was renamed and instead of trams, now transport. 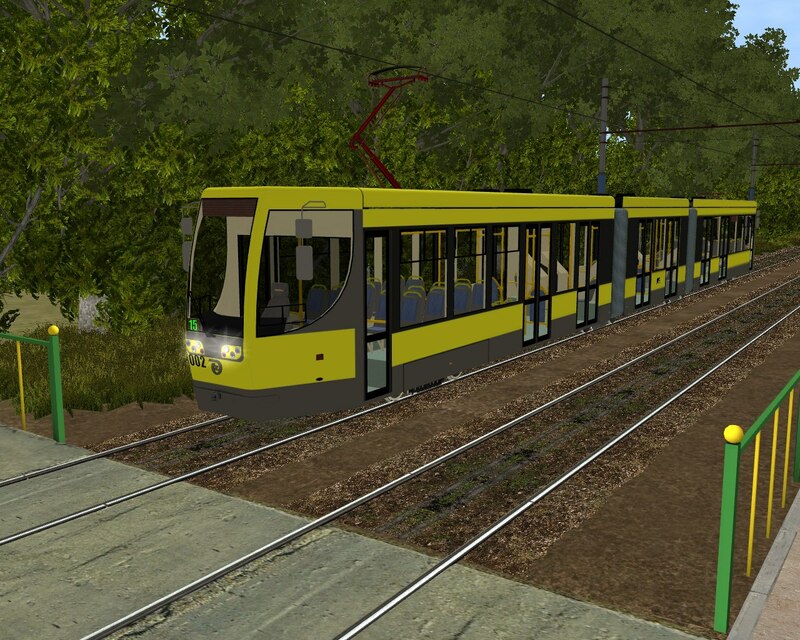 Then we started with the repainting of the tram models for the trainz railroad simulator. Somewhere a month later, the idea came up to create two new models based on 71-619. These were models called OZMT-1 and OZMT-2, but as a result, only one model, OZMT-2, reached the implementation. 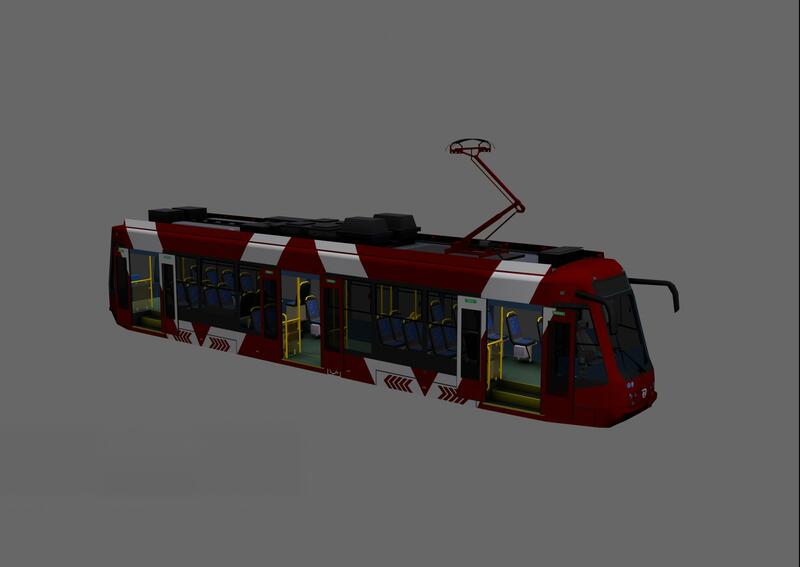 In 2013, the idea came about creating a new model, which in the future will be called OZMT-10 and a whole line of models based on the OZMT-10 design will be created. 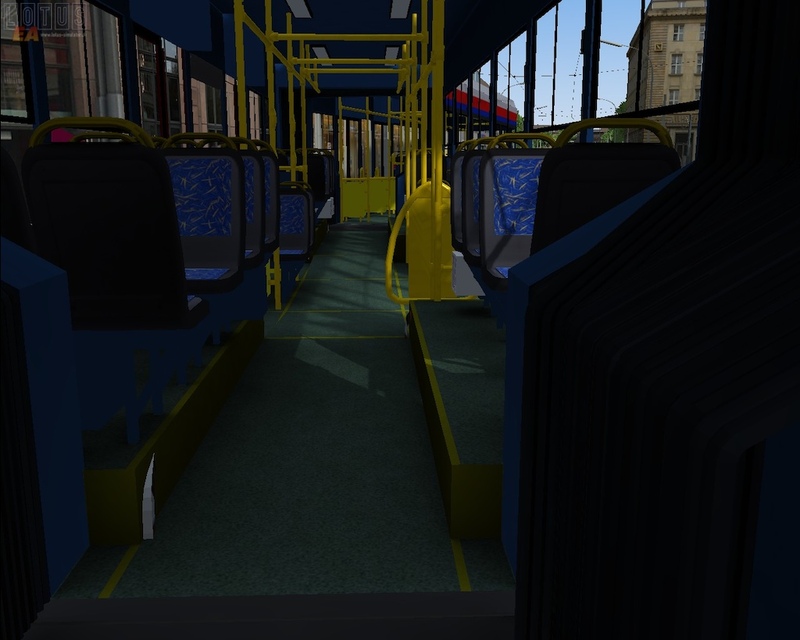 And somewhere in 2015 received a modern design model, but in 2017 a modified version came out, where the shape of the front mask was partially changed. 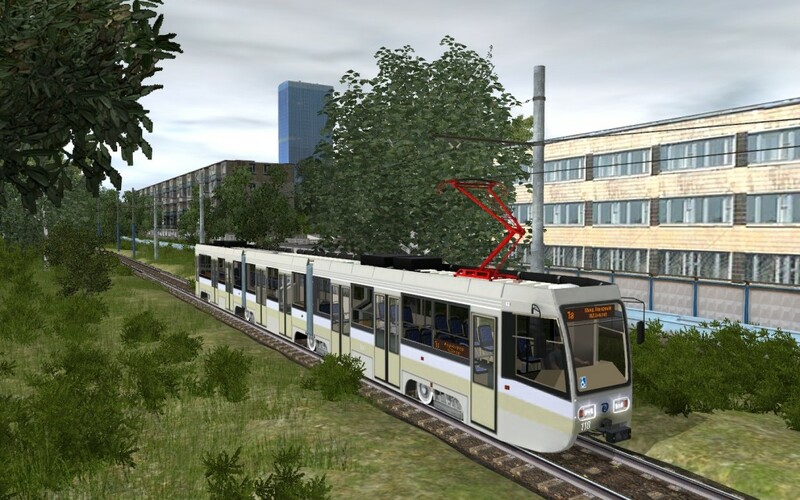 In 2016 two models were created by different branches of the plant. 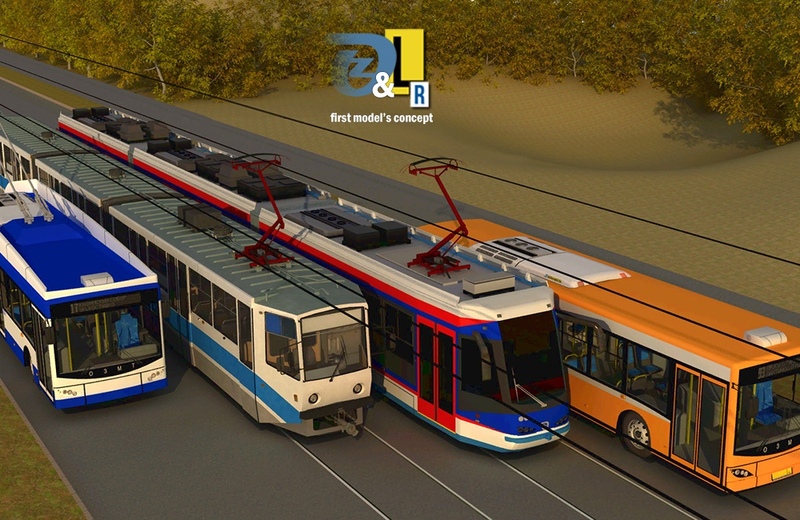 These were the models OZMT-32 and OZMT-20, but the latter is still in the "in development" stage, and the first was published at the end of 2016. Screenshots of models after the text. 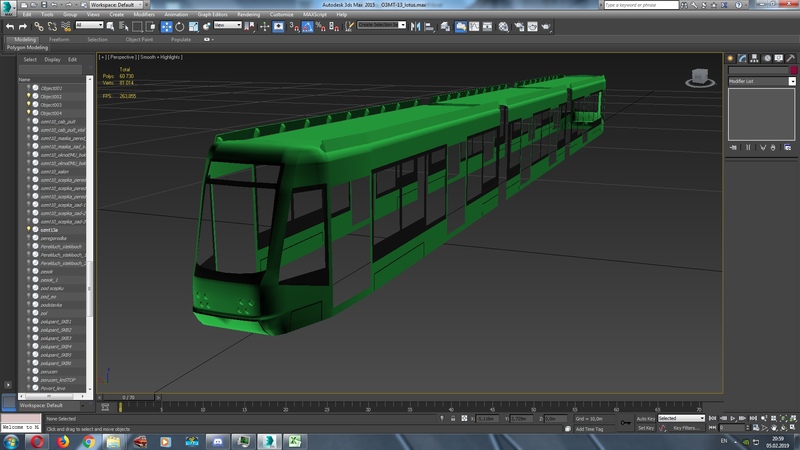 But we, as the OZMT team, are not only working on the development of fictitious models, but also real models. 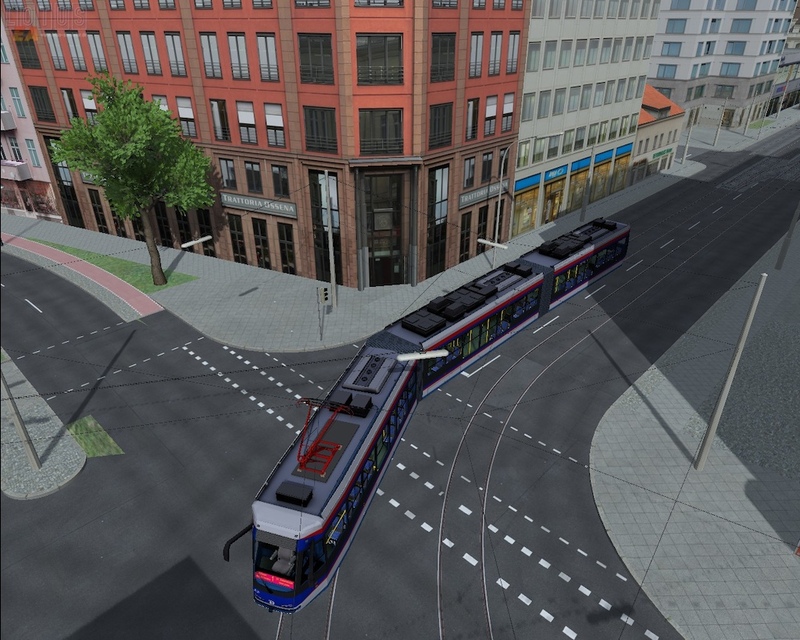 We have so far done in the beta version of the BKM (AKSM) 62103. 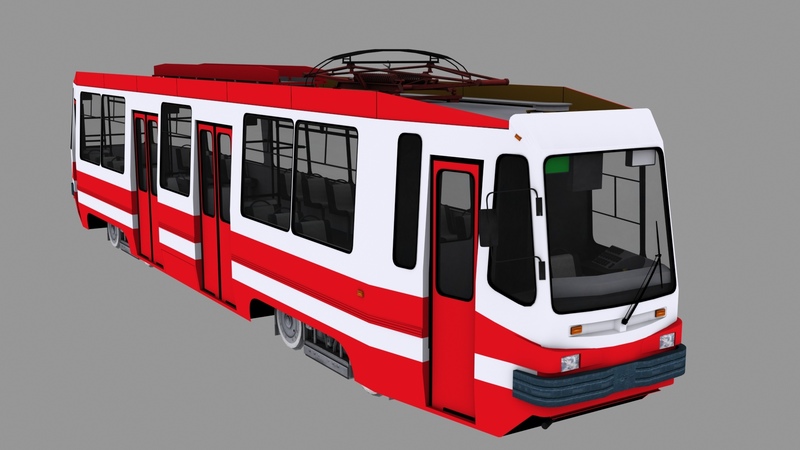 Now we are working on such models: LM-99K, BKM (AKSM) 84300M, BKM 84500K, BKM 802. 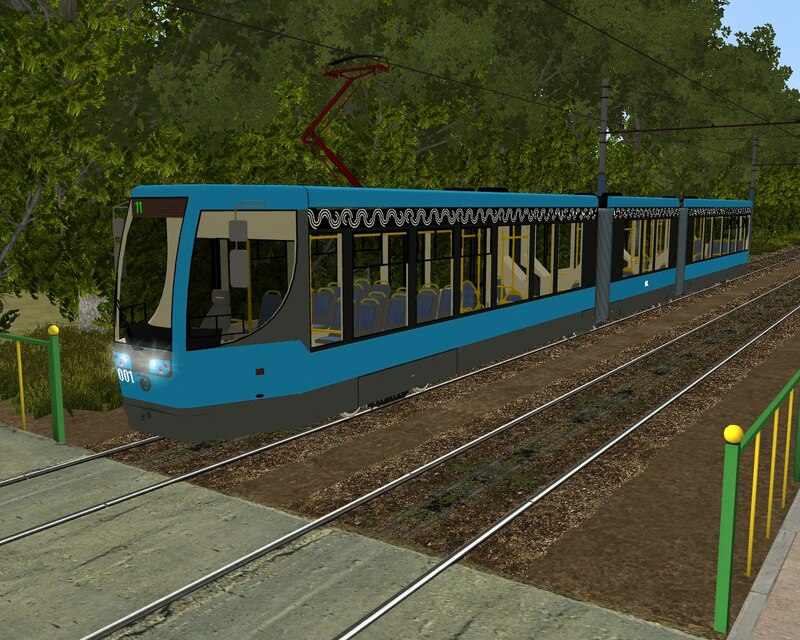 Also, our team includes another participant who makes both fictitious trams produced by the SVRZ and real models. 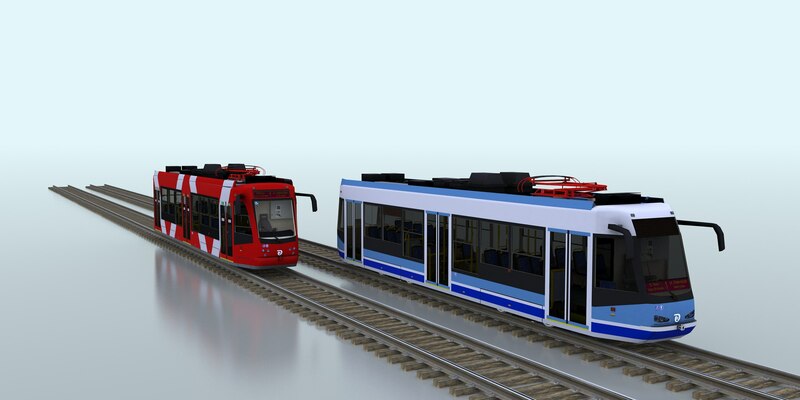 We are a team that did, does and will continue to continue to make development for playing trainz railroad simulator, but recently more and are now making model for LOTUS. In addition to models, we are also engaged in mapping, but so far the mapping in LOTUS is difficult for us and will have to be closely studied. 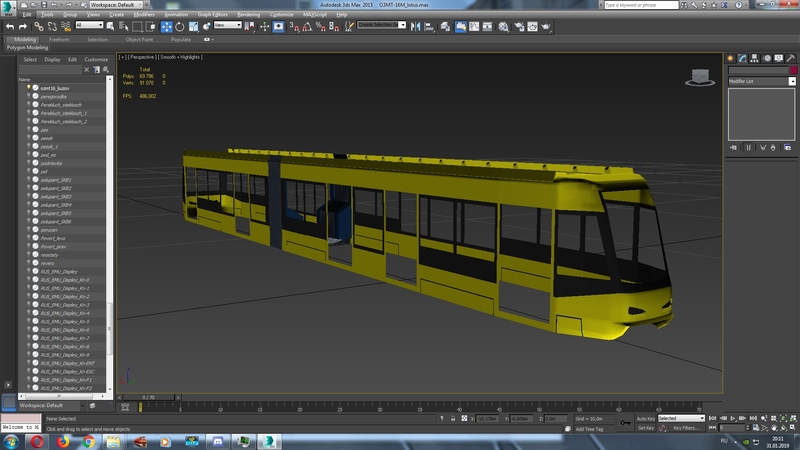 In the list below, models for the TRS are already made and most of them will probably appear in LOTUS. Another list is divided into fictional and real models. Finally OZMT-18M turns in the game. 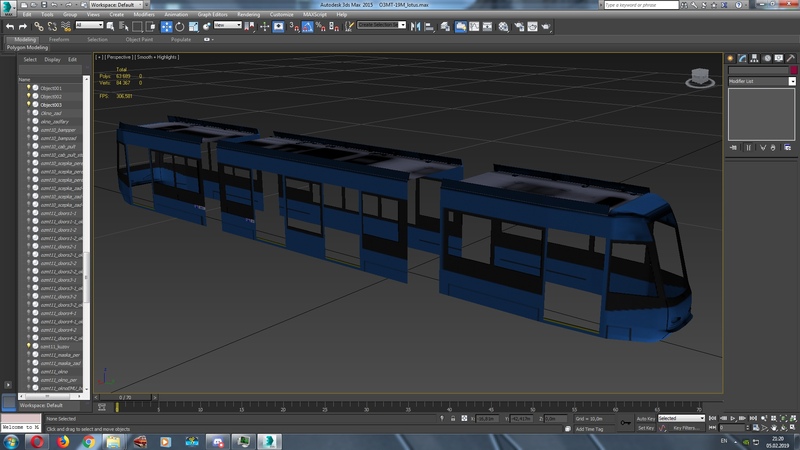 It now remains to make an accordion (articulation) animation. It really does look nice so far. Cannot wait for the end result! OZMT-11M and OZMT-18M in the depot. While at the moment the work is suspended. There are difficulties with studying the article about mesh animation (Mesh-Animationen), which tells how to animate the harmonica (Faltenbalgs). 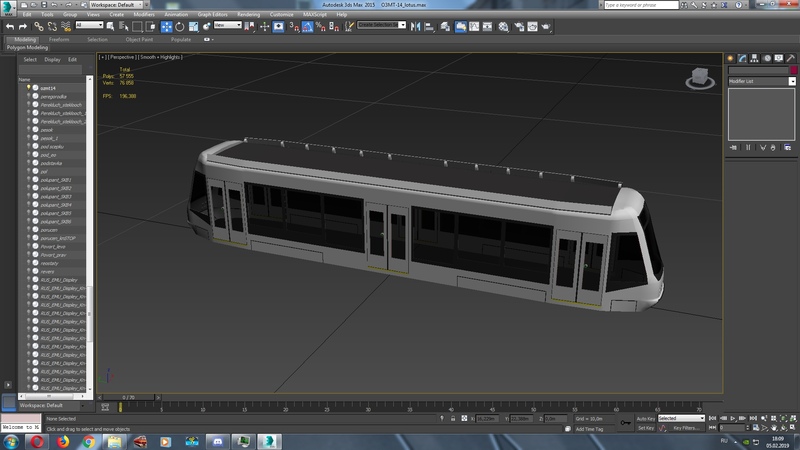 But during the study, we watched the trams in OMSI-2 and saw that the harmonica was also animated there. In this regard, the question is who can help? I just never worked in a blender and do not know how to do it. May I recommend to add some dirt to your textures? They look really clean. I would appreciate some kind of structure - rust, dirt, spots, subtle scratches. Just a little bit. And may I ask for a picture of the original tram? I could imagine that the colors are too saturated, but maybe they are not. Edit: Oh I just noticed, it is fictional. Sorry! But I would recommend to lower the saturation of the colors anways. I will add all these elements a bit later, now the technical part is more concerned with this harmonica (articulation) and current collector. 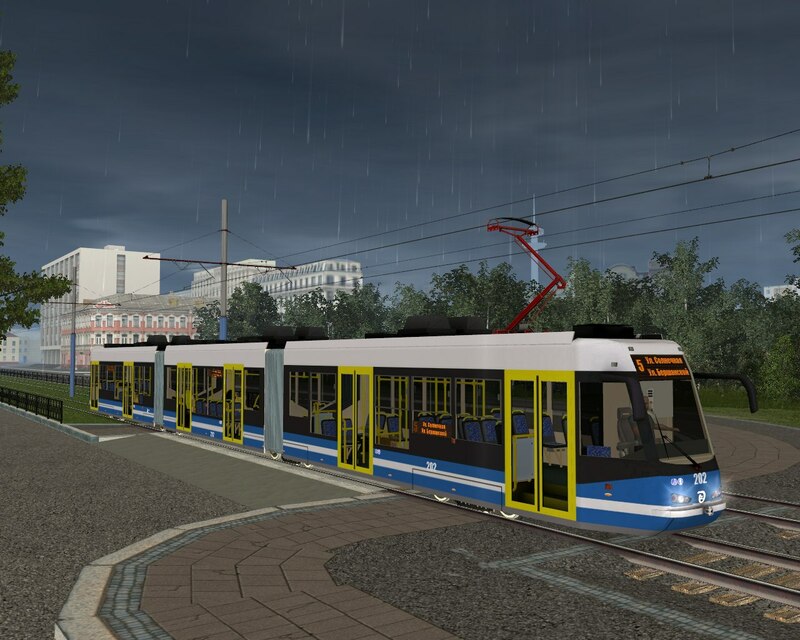 Photos of the real tram - no. Since OZMT is a fictional company, that is, models are fictional. 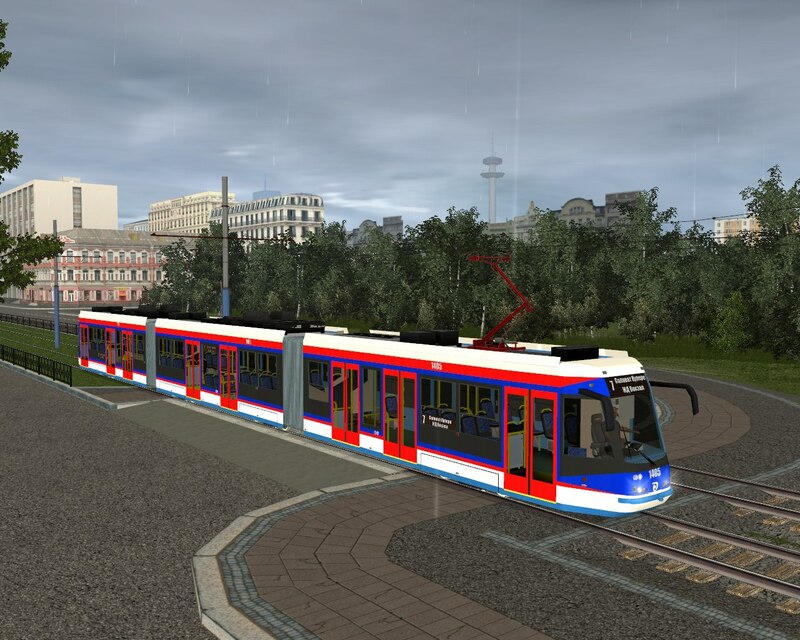 Most of these models (except OZMT-32 - OZMT-35 and other than trolley buses and buses from OZMT) are of my authorship. 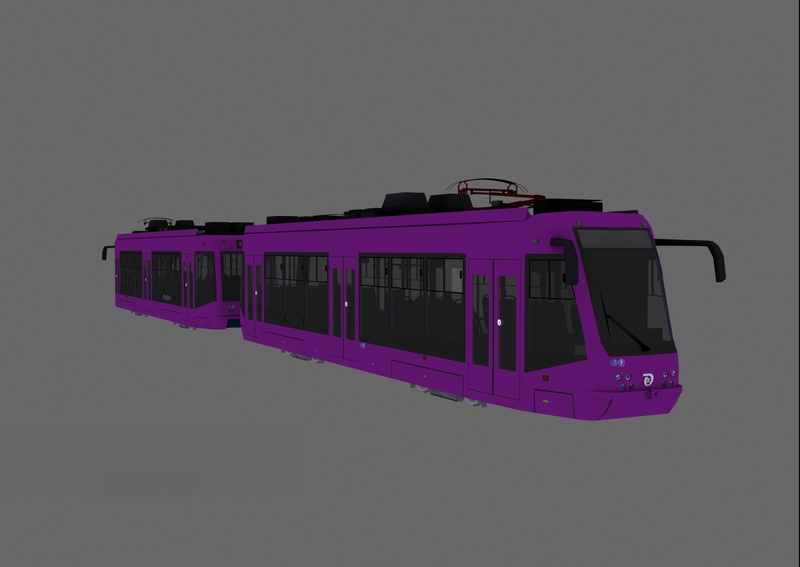 Therefore, these trams look completely clean, since there are no real prototypes. Maybe, you give them some additional paint jobs, when they're done - I would also prefer a less saturated / colorful styling, maybe white + red or white + blue. Closer to the end of the work, of course, there will be several variants of colors. I generally want to paint under Leipzig (gray-blue-yellow). I decided to release OZMT-11M, but in raw form. Since I had not worked with the workshop before, well, and a little variety for skating. 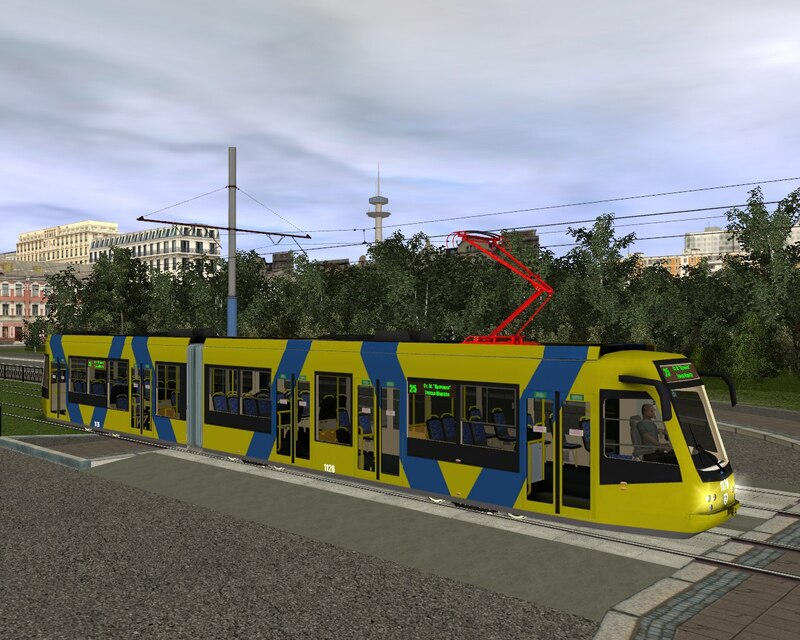 Release alpha version OZMT-11M. Workshop. I already tried it, but there is a big bug. 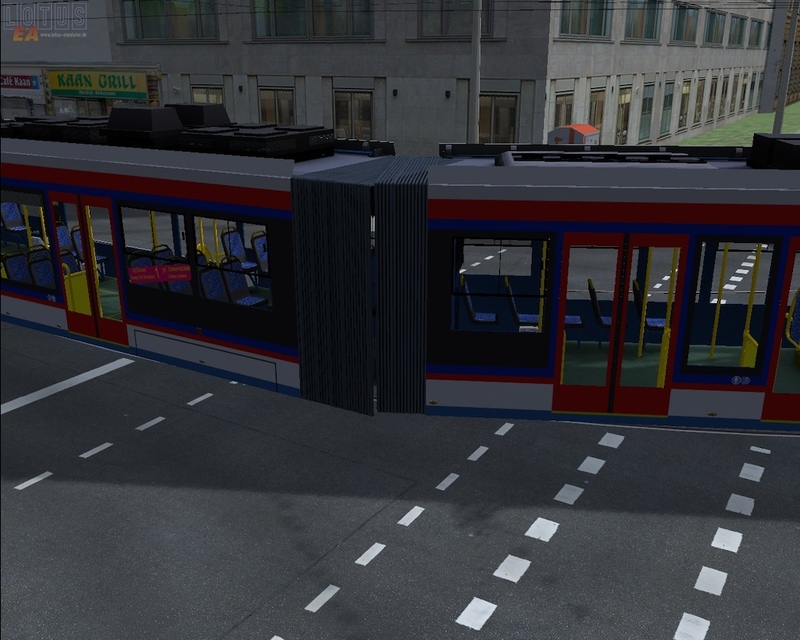 The game thinks that the cab is at the back of the train, so it spawns the wrong way round and it goes in the wrong direction. Well, yes, it is necessary to deploy the car. Well, I'll fix it all in the future. In the meantime, while the issue with the harmonica animation at OZMT-18M is being resolved, I decided to update the whole line of OZMT-10 models. 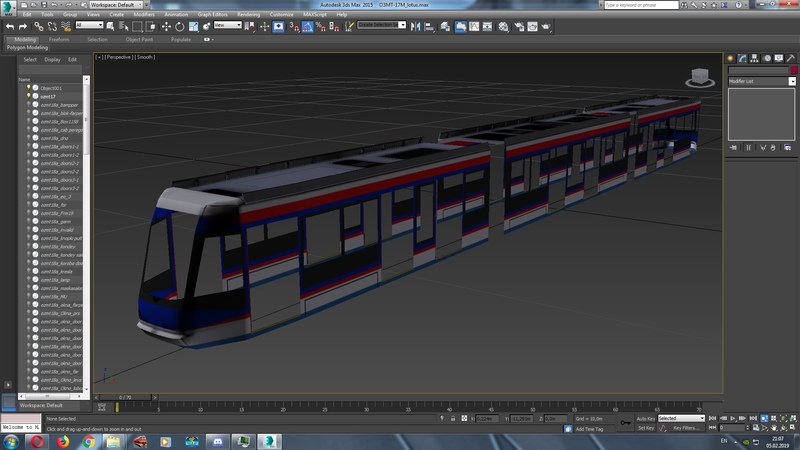 And besides, a trailer car is being developed for the OZMT-10 and for the OZMT-15. Soon we will show them. 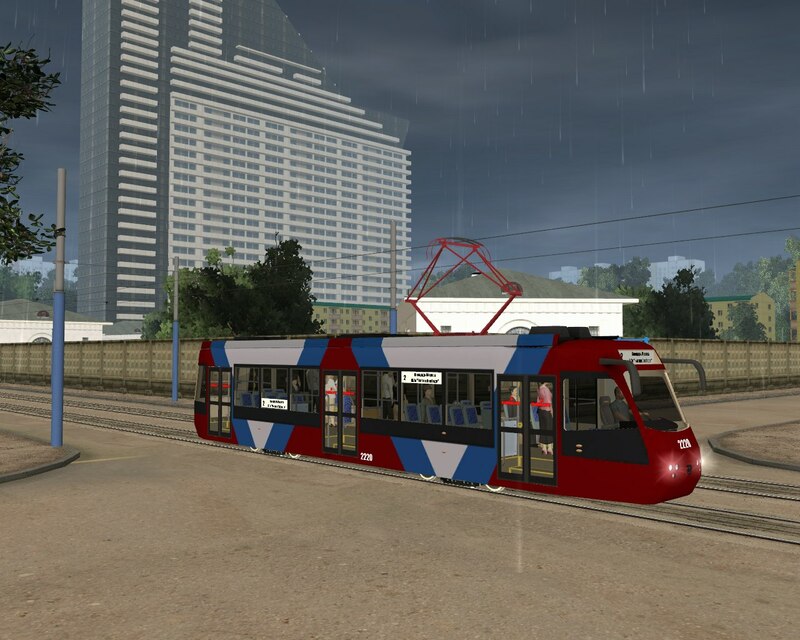 Yes, I agree, livery (paint) is gorgeous. Initially, the color of the color was, as in 1061 (https://pp.userapi.com/c844720…08/124224/nIcsMtljgac.jpg). Then he made in two colors: red and white. When I updated the model, I decided to leave this color scheme. 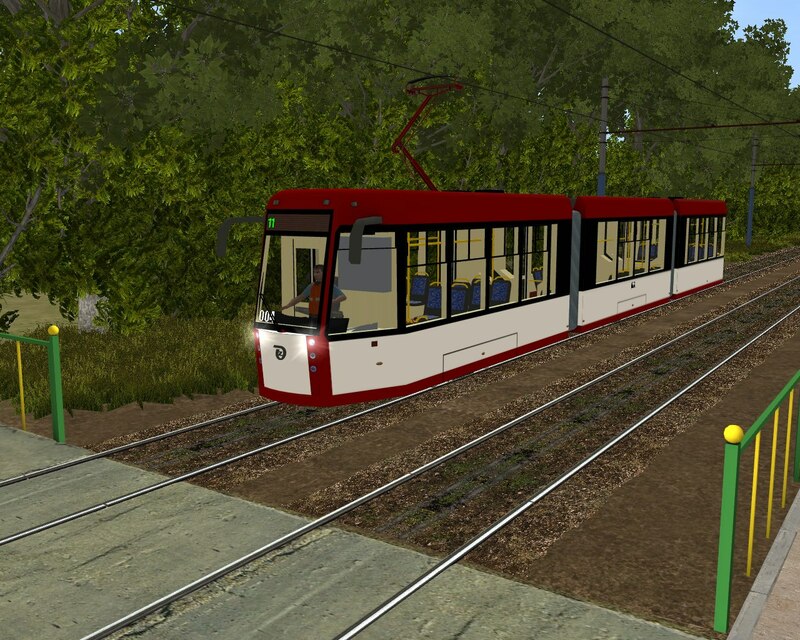 I apologize for the screenshots of Trainz (TRS), soon this model is exported to LOTUS. Yes, I do like the new color scheme (grey-white-yellow) also, but still prefer the red-white one. Both are much more modern than the other before. 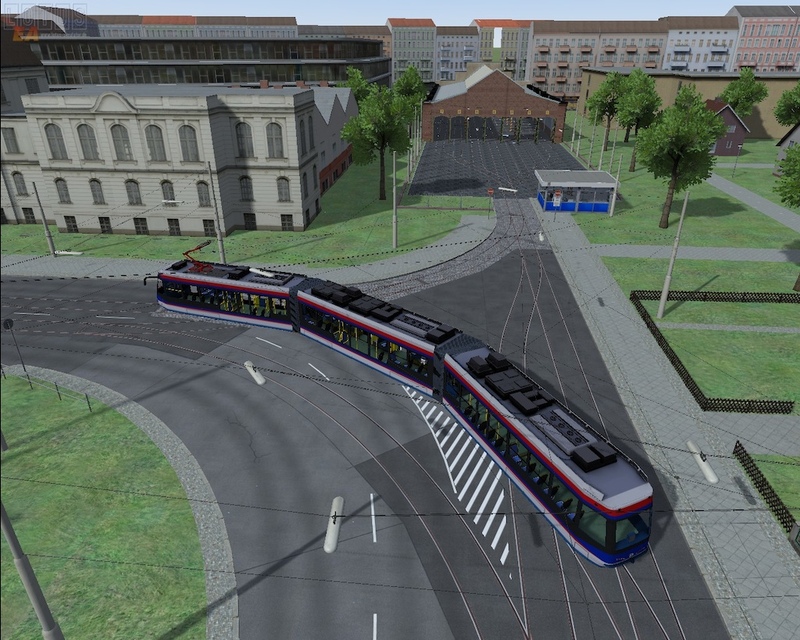 Do you plan to make also trams with more than one part (like the GT6N)? Yes of course. In the 5th post(OZMT team projects.) I wrote about the model. The line (family) OZMT-10 includes models from OZMT-7 to OZMT-20.